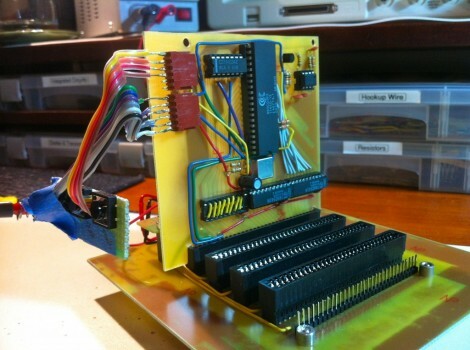 The latest update in the Veronica 6502 computer project is this finalized VGA board which now has a home in the machine’s backplane. We’ve been glued to the updates [Quinn Dunki] has been posting about the project for many months now. Getting the GPU working proved to take quite a bit of time, but we learned a ton just by following along. The video output had humble beginnings way back in March. That breadboarded circuit got complicated very quickly and that was before it was even interfaced with the CPU. As you can see from the image above, etching and populating the GPU board really cleans up the build. We’re sure it’s robust enough to move around at this point. We wonder if she’s planning on showing it off at a Maker Faire or another geeky gathering? It really has become clear how wise [Quinn] was to design a backplane board early on. It plays right into the modular concept. She was even smart enough to include that SIL pin header on the near side of the board which was used heavily while prototyping this video module. [Quinn Dunki] has been busy through the holidays giving her 6502 processor-based computer a place to live. The most recent part of the project (which she calls Veronica) involved designing and etching a mainboard for the device. 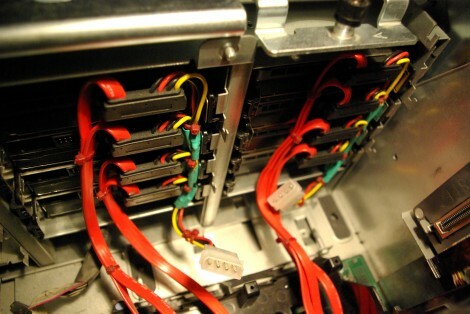 In the picture above it’s the vertical board which is right at home in the backplane [Quinn] also designed. The project is really gaining momentum now. You may remember that it started off as a rather motley arrangement of what we’d guess is every breadboard she owns. From there some nifty hex switches gave [Quinn] a way to program the data bus on the device. Many would have stopped with these successes, but the continuation of the project makes the hardware robust enough to be around for a while. The single-sided boards are playing nicely together, and the next step is to redesign the ROM emulator to use chips for storage. [Quinn] alludes to a side project in which she plans to build her own EEPROM programmer to help with getting code into the experimental computer.